In Reflection – Year of the bathroom! With the holiday season in full swing and the New Year just around the corner we’re taking a moment to look back at some of our most memorable projects this year. And in reflection, this was undoubtedly the year of the bathroom! 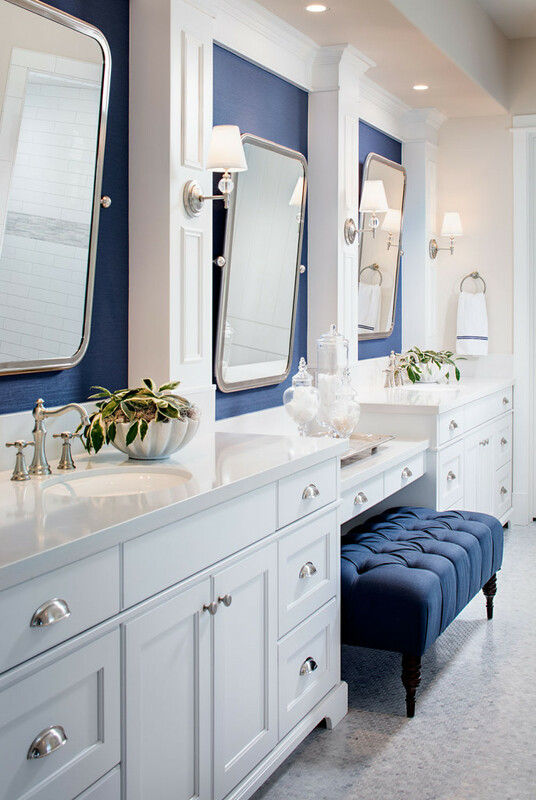 Besides their practical function as a “room to bathe”, bathroom remodeling can create a personal spa retreat and in designing these private spaces we’ve kept that ambiance in mind. 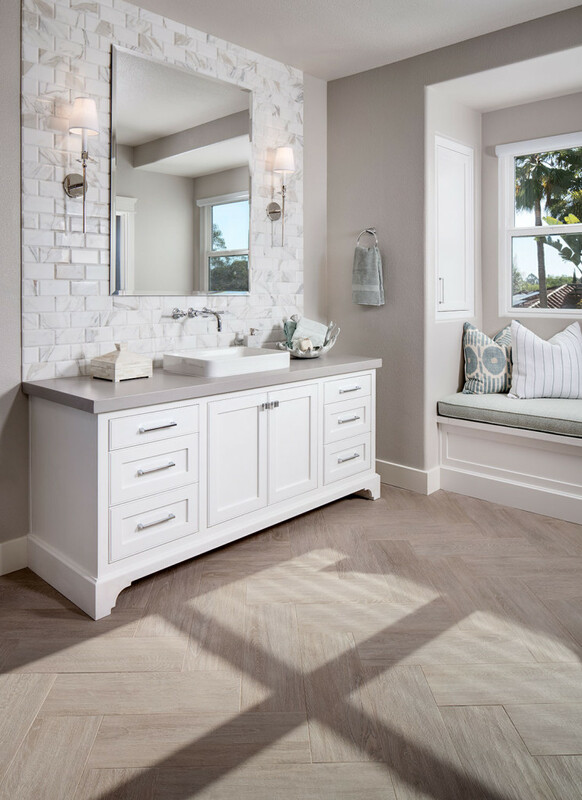 Here are some of our favorite bathroom remodels in San Diego, along with our favorite shower designs. 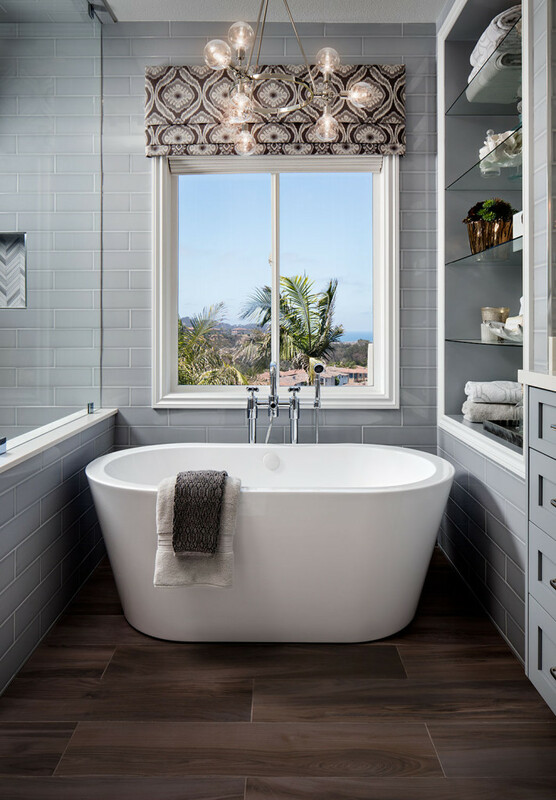 One of the most notable design elements in many of our recent bathroom remodels is the freestanding tub. 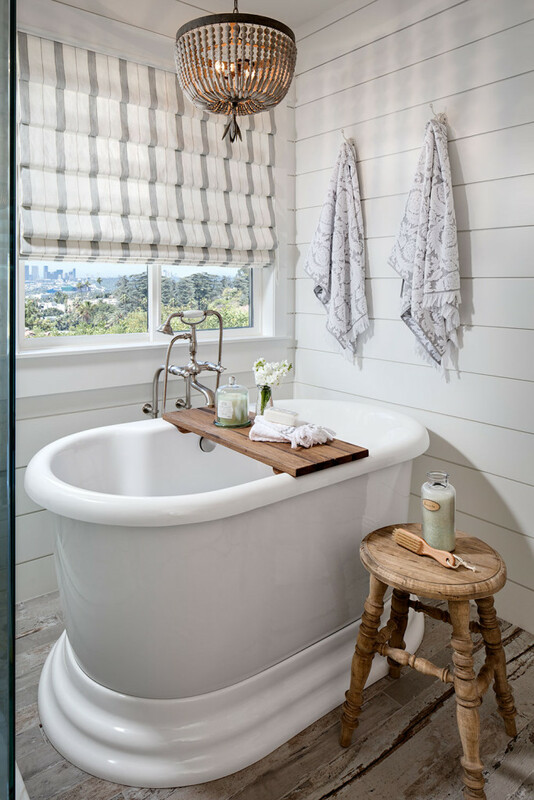 A freestanding tub instantly adds a spa like feeling to the space and hopefully encourages homeowners to take some “me” time and enjoy a relaxing soak. By crowning a chandelier atop the tub area, it adds a touch of glamor and brings the eyes up, creating a sense of height in the room. 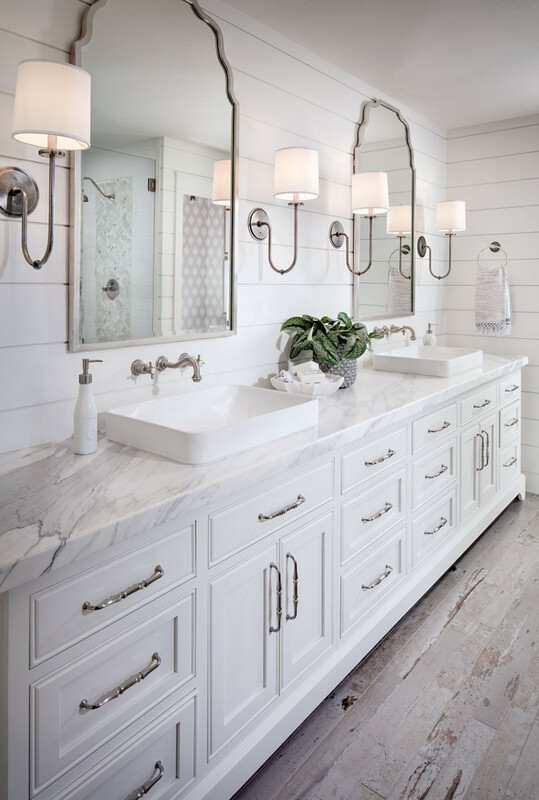 Tub by Signature Hardware. Chandelier by Shades of Light. Tub by Barclay. Chandelier by Restoration Hardware. Tub by Victoria + Albert. Chandelier by Restoration Hardware. 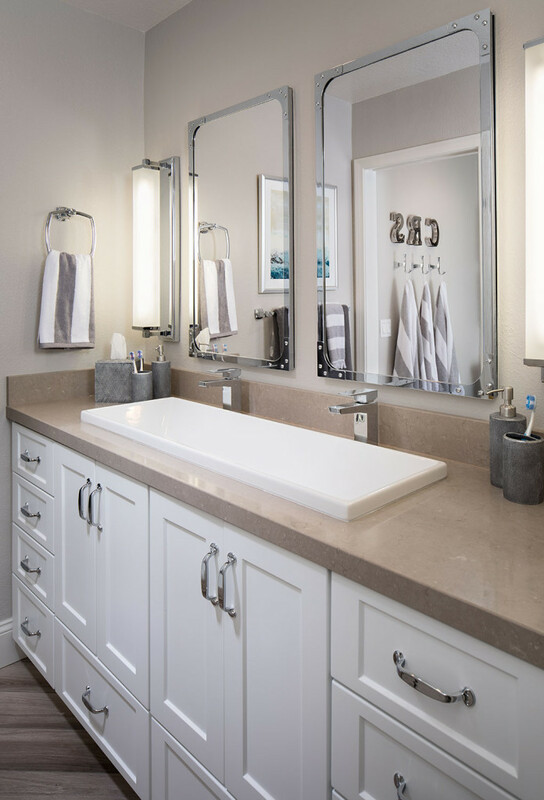 When space permits, a double sink and vanity make practical and functional sense in a shared bathroom. Instead of using one continuous mirror across the wall we often opt for individual mirrors to create a backdrop reminiscent of a gallery. Mirrors & Sconces by Restoration Hardware. Mirrors by Mirror Image Home. Medicine Cabinet Mirrors by Restoration Hardware. The days of cubicle box showers and curtains are over. Showers should be spacious and serve as a natural extension of the visual space. 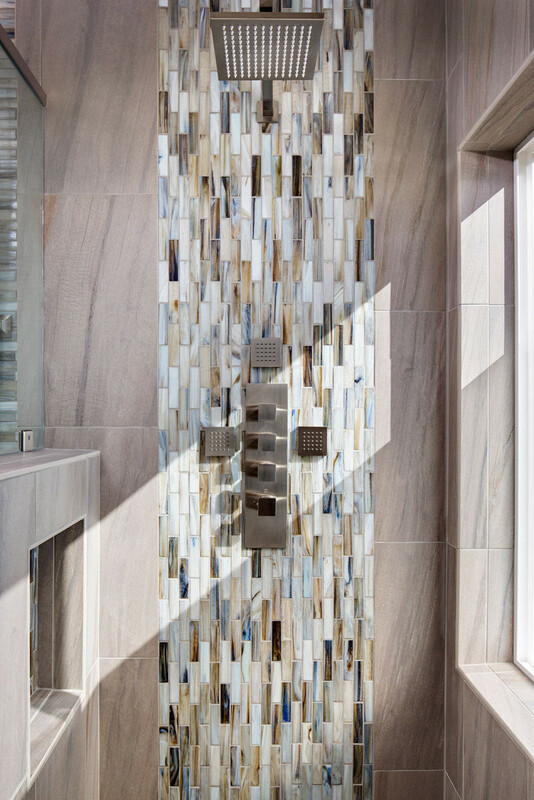 Glass shower walls allow for unobstructed views of decorative tile work and preserve the open feeling of the room. By adding multiple shower heads the luxurious showering experience can be taken to the next level. 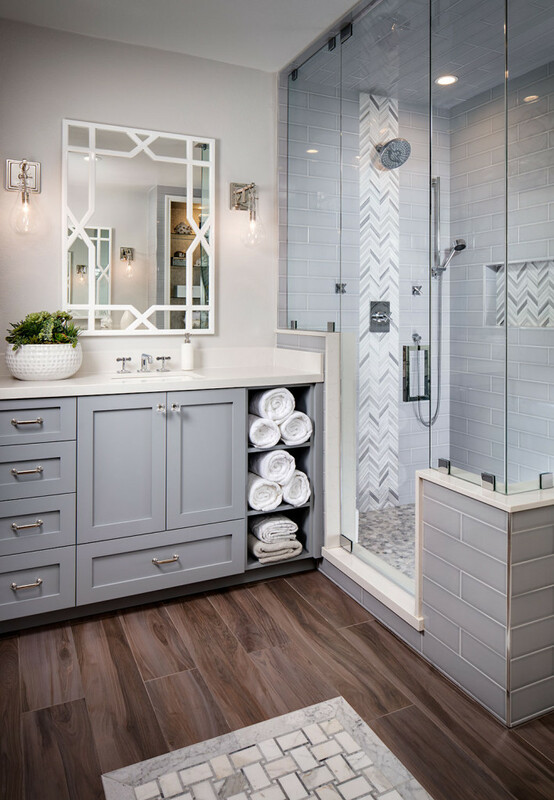 Shower floor by Arizona Tile, White Marble Flat Pebble and Chevron Accent Tile Subway tile by Arizona Tile, Denim Glossy. Accent tiles by Arizona Tile, Glass Shimmer Abalone. Shower tiles by Cabochon Tile & Stone, Asian Carrera Honed. 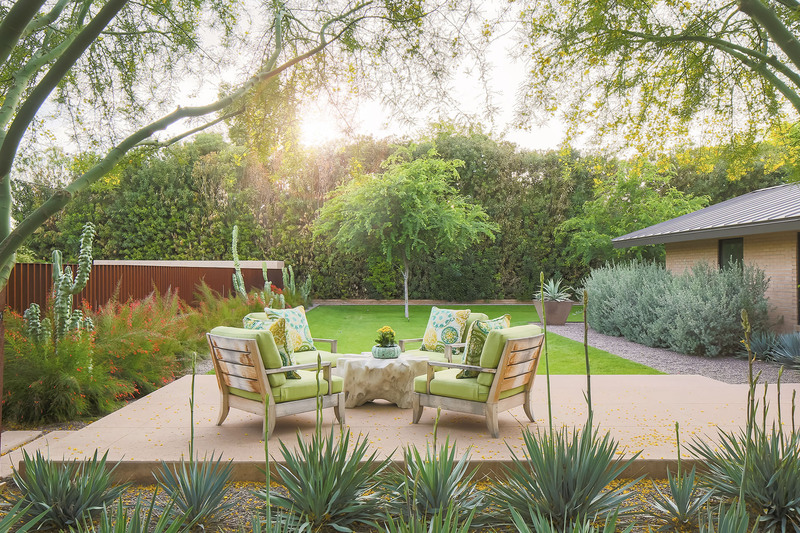 It has been an incredibly exciting year for the Tracy Lynn Studio interior design San Diego team and we are so happy to be able to share our designs with all of you. We hope that you have enjoyed and been inspired by what we have created and can’t wait to see what new design heights 2017 will bring!